Spring is here…and I love it! Spring is such an inspiring season. It’s a time to start anew in many different ways for many different people, which makes spring an ideal time to refresh your home library with timeless classics, holiday treasures and fun adventures. Spring is also a great time to take your favorite books outdoors and let the kids explore in the fresh air. Some of my favorite topics for the season include: weather, gardening, stories of growth and an array of books based on Easter. One of my goals for this year is to create a more seasonal inspired library rotation that will encourage my littles and help foster some extra creative lessons from home. Fortunately for us all, there is an endless array of books for all interests and stages of life. Note: As we all know, there is an abundance of fantastic classic tales for spring and Easter. The list that we’ve compiled is focused on more contemporary and new-to-us finds (with Easter basket gifting in mind)! Up in the Garden and Down in the Dirt – Beautiful and educational. This book gives young readers a new and refreshing perspective into the many layers of the ecosystem. 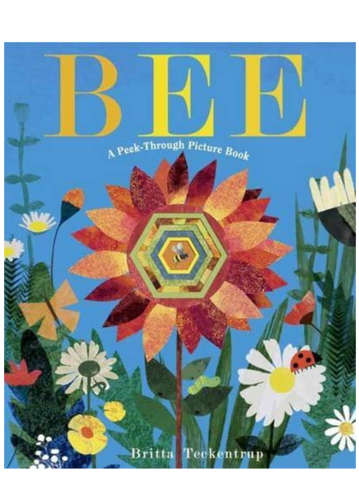 Bee: A Peek-Through Picture Book – Exquisite illustrations and catchy rhymes help kiddos understand the journey and importance of bees. I’ve Loved You Since Forever – A lovely book from one of my favorite morning anchors, Hoda Kotb, inspired by her beloved daughter. Charming illustrations and heart-felt read. A Family is A Family is a Family – Whether it be the Easter traditions or spring break gatherings, spring makes me think of family. This book celebrates the unique and special traits of families of all shapes and sizes; providing wonderful insight for readers of all ages. 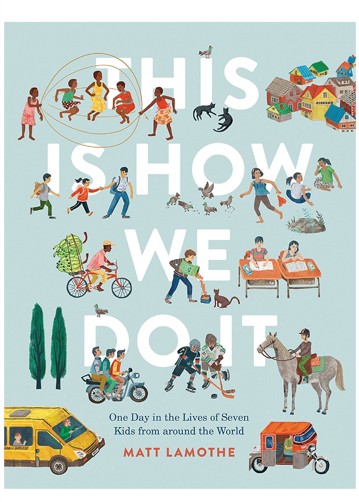 This Is How We Do It: One Day in the Lives of Seven Kids from Around the World – What a special way to celebrate different cultures and expose children to the diverse customs of other children in our world. Special! Puffin in Bloom Collection (Little Women, Anne of Green Gables, A Little Princess, Heidi) – Exquisite. Beautiful. Classic books that make for great heirloom gifts and add a touch of whimsy to spring décor. Baby Loves Aerospace Engineering! 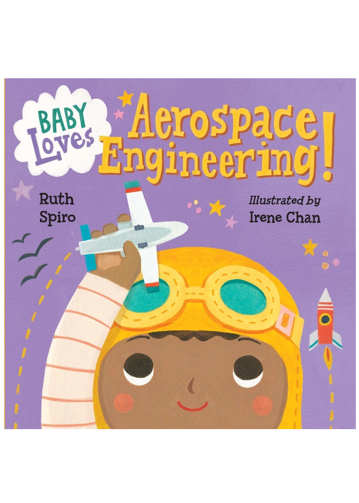 – Our family happens to include an aerospace engineer and therefore, I could not resist this book! There is a full “Baby Loves…” series and the illustrations and basic text is perfect for introducing your tinniest to STEM. Baby Loves Coding! is on my next book order list. Pete the Cat: Big Easter Adventure – I mean, Pete the Cat can do no wrong (says every toddler I’ve ever known)! 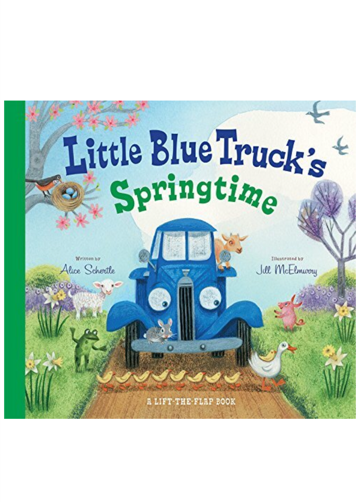 Little Blue Truck’s Springtime – An extension of the ever-popular Little Blue series, this humble story is stunningly illustrated and quite well-suited for the youngest readers and Little Blue obsessed fans. When Spring Comes – Lovely and magical depiction of the transition into spring. Great read to spark circle time lessons. Egg – Sweet story of unexpected friendships. Happy Reading from your friends at GrowthSpurts CDF!